What’s the point of representation? Why is it that people care about it so much? Why is it that I care about it so much? It’s a simple concept and the answer is simple as well. Representation matters because our world, more specifically, our country is diverse. People from all walks of life live in America and the number of people in this country from those different walks of life is only increasing. It’s important that our media, more importantly movies and comics, represent this evolved America. It’s difficult though. Comic books have been around since America’s “white” years. When Batman, Superman, and The Fantastic Four first popped up, representation didn’t matter because minorities didn’t “deserve” respect back then. There was no need to show diversity in comics back then. Now though, we’re shifting towards a more progressive world, and representation is a must. Some don’t like this, some do. If you’ve read anything I’ve written before, you know how much I love diversity and representation. My love for good story and character development come first, but diversity and representation are extremely important to me. 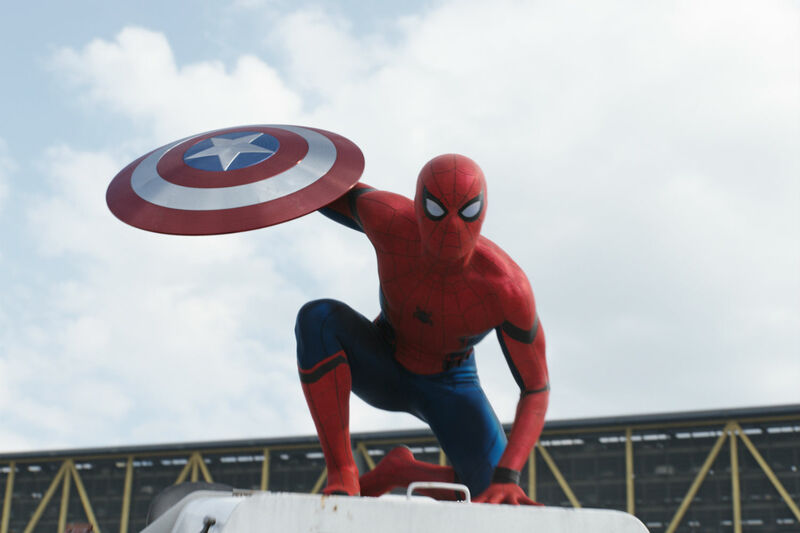 The point of this article is to expand on my thoughts about the upcoming Spider-Man film. Spider-Man is one of my favorite superheroes of all time. I’ve genuinely enjoyed the five films we’ve gotten of Spidey; my favorite being Spider-Man 2. This film though, takes that to another level. One of the best parts about Spider-Man is seeing him interact with other superheroes. Captain America: Civil War was the beginning of that journey. Spider-Man’s presence in that movie elevated its quality. Seeing him talk to Captain America, argue with Falcon, and find a father figure in Iron Man were dreams to comic book fans. This movie is the start of Spider-Man’s growth in the Marvel Cinematic Universe. I think it’s going to be an unforgettable journey. I’m part of a solid majority in my excitement for this film. Kids love Spidey and he’s one of Marvel’s top heroes. The second trailer came out this week for Homecoming. While I think the trailer showed too much of the film’s plot, my excitement for the film is still high. There’s a bit of controversy surrounding this film regarding representation and diversity though. With this being Peter Parker’s sixth movie, some think it’s time to move on. I understand that, but I think the complaints coming from the POC (people of color) community is rooted in baseless hate. They never liked Spidey anyway and will use any problem, be it real or fake, to devalue his importance. There is an unhealthy trend happening right now whenever a white comic book character is thrown into the spotlight. The trend is simple. The POC community starts to instantly bash this character. Why? Everyone is different in their values and reasons, but to me, it’s simple racism. Not liking or respecting a character because they aren’t a minority. If this trend doesn’t change, I think it could be problematic to our current fight for representation and diversity. The complaints I’ve been noticing from people regarding this movie is about the similarities with Peter Parker’s and Miles Morales’ origin story. I saw an article on the Geeks of Color website that’s been getting a ton of publicity lately. This isn’t the first article I’ve seen on Peter and Miles, but this is the most recent one. This is in no way a jab or attack on their content. I love their purpose and fight for diversity. But this trend of hating white characters just because they’re white is something I can’t get behind or support. For those who don’t know who Miles Morales is, a little bit of backstory. 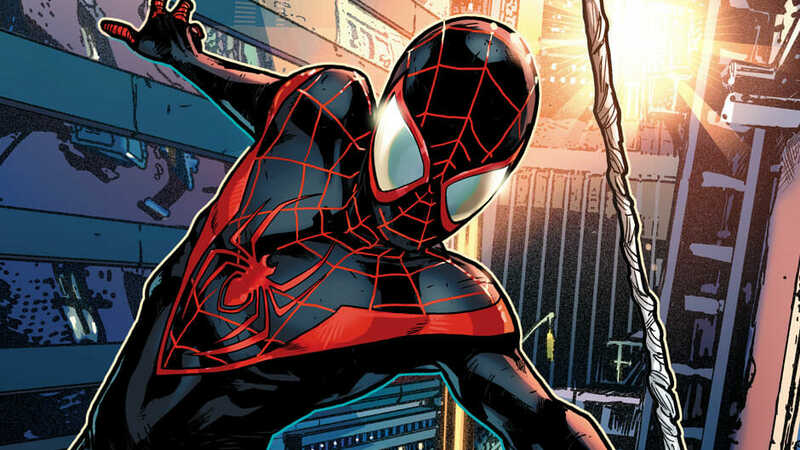 Miles Morales is a black and Latino male from New York who exists in Marvel’s Ultimate Universe. His uncle is a villain named the Prowler. When his uncle accidentally gets a radioactive Spider in his bag, the spider bites Miles. Miles is different from Peter in the fact he literally wants nothing to do with his powers. He doesn’t want to beat up bullies, he doesn’t want to save girls, nothing. He also idolizes Peter, who’s alive when Miles gets his powers. This causes Miles to hide his abilities from the world because he thinks the world is fine with the Spider-Man they have. Miles finally decides to become a hero when he witnesses Peter Parker’s death. Miles could have done something. He could have saved his idol and kept Spider-Man alive. This is one of the best origins of a “replacement” hero because their origins are similar, but the death of Peter is needed for Miles to become Spider-Man. That’s my first complaint about this article. This piece wants the movie to be a Miles movie because of the similarities and for representation. We can’t just throw logic away when it comes to comic book canon just because we, as a community, want more black heroes. The same thing happened recently with the release of Iron Fist. Everyone wanted Danny Rand to be Asian in the show. I’m one of those people, but I’ve never cared that he wasn’t Asian. He’s an awesome character. Danny hasn’t gotten the respect he deserves from fans in the comics. Now, suddenly, there’s appeal for the character because of the possibility of being Asian? That’s the definition of fickle. An Asian Iron Fist should already exist in the comics, but people have never brought up his “white savior” status before the show. Everyone seemed fine with his whiteness and his origin before the show. It doesn’t make logical sense to change the race of the character and it makes no sense to discredit the show before watching it. I feel the same thing happening with Peter Parker, who is more important and a better character than Danny Rand. The two main complaints from this article involve Peter’s new best friend and the appearance of the Shocker. I actually agree with the point everyone’s making about the friend. Ned Leeds is extremely similar to Ganke Lee, who is Miles’ best friend in the comics. While I don’t like them doing this, there’s no reason that Ganke Lee can’t be Miles’ friend too. How funny would it be if one day, we get a Spiderverse film, or something similar like Secret Wars, and they cast an actor who looks similar to Leeds for Lee and the two of them meet? It’s not an impossibility, but I do understand the anger with them making the two characters so similar. The second point this article makes is that the Shocker is the stand in for the Prowler. What? The Ultimate version of the Prowler is the literal blood relative of Miles. Correct me if I’m wrong, but I don’t think Shocker is going to be related to Peter at all. If anything, he’ll just be a side character who works with Vulture to take down Spider-Man. If anything, Vulture could be considered a Prowler type of character, but his relation is to Tony Stark and the anger he has towards him. There’s no connection between Shocker and the Prowler. This happens to often in the POC community. Abandoning logic to rally the troops behind hating a white character. The part of the article you just read is my biggest concern for our culture and community. Wanting Miles is fine. So is noticing, even if they aren’t real, similarities between this movie and Miles’ origin. But this part of the piece talks about how this movie isn’t true diversity because the main character isn’t black. That’s dangerous thinking. More than that, it’s a racist thought. This film is diverse. Yes, the main characters are white, but they’ve always been that way. And I don’t mean that in the “I want everything the same” way. So, does the writer of this piece want Iron Man and Spider-Man to become minorities overnight? I could see Vulture being a minority, but that’s it. The other characters in this film are women, black, and Asian. Unless I’m missing something, that’s diversity. This complaint is a reach. A recurring theme of abandoning logic is present. The Power Rangers film came out last week and this has the same amount of diversity as Spider-Man. Didn’t see much revolt over that film even though the Red Ranger was white. Rogue One as well. Diverse film but the main characters were white. Does that devalue how brilliant that film was? This piece states how tiring it is that studios cast non-white characters and call a film diverse. I’m tired of our community changing the meaning of the word diversity. The only concrete evidence of a rip off from Miles is the best friend and the scene when he’s crawling on the ceiling. The two characters are completely unique, but still have similarities. Miles’ origin rests on the death of Peter, the same way Peter’s origin rests on the death of Uncle Ben. I love Miles as a character, but Peter IS Spider-Man. There is no Miles without Peter’s legend and influence. Wanting Miles before Peter doesn’t make sense. Miles still has room to grow. I think we forget too that the character is only six years old. Not many characters, black or white, have this much success or exposure in a short period of time. We can’t forget that Marvel took a chance by creating Miles in the first place, and he’s a genuine attempt at diversity and representation in comics. Marvel and other comic book companies have a long way to go with diversity, but Miles is one of the crowning jewels of this new era of comic book characters. He and the MCU are still in infancy. We have to give both of these properties time to grow before we demand illogical stories. Miles’ current run in the comics is struggling. Before we see him in a film, I’d like his story to be expanded on more, and that won’t happen if his title is cancelled. I’m not a trend type of person. I watched Breaking Bad after the show was over and it took me years to sit down and watch Game of Thrones. I enjoy both shows, but I hate getting caught up in trends. Twitter exaggerates trends and people tend to get behind their ideals more so than in real life. I unfortunately feel like this is happening with representation and diversity. There’s a fine line between truly wanting the two and being a racist. To some people, being a minority and being racist is an oxymoron. It isn’t. Once again, this is a fine line to walk because I do not empathize with white people who are racists. America is rooted in racism. Blacks and other minorities have been dealing with racism since before America was even established. The history of the United States isn’t that long, and for the majority of it, whites have seen us like second class citizens, and sometimes, not human. Some people still don’t consider Blacks human and they think Gays have something wrong with their brain. It’s a sick way to think. I lean more towards the radical side when it comes to feeling sorry for white people. But when it comes to being a racist myself, I think we all need to check ourselves because it can lead us down a dark path. America’s history towards blacks is abysmal. It keeps me up at night sometimes and I am constantly trying to improve my life as a black man. We live in America though. Mixed ideas and mixed cultures. This piece, and a number of people in the POC community are no better than racist whites who throw an illogical fit when a character’s race is changed from white. There shouldn’t be sides with this stuff. More blame and responsibility should be placed on whites, given their gross history of racism, but we have to hold ourselves to high standards as well. Those standards can’t change just because someone on the internet says something is wrong. I’m not one of those people who care about division or unity. If you exhibit racist behavior and refuse to acknowledge it, keep it moving. Everyone is different. Some people are going to get along, and some aren’t. I do however, want this idea of representation to evolve past anger. What I mean by that is we need to support minority comics and characters. It’s not all on us, the companies have to continue to produce AND promote minority characters, but we have to buy the books. Be it Nighthawk, Mosaic, America Chavez, Midnighter and Apollo, Jane Foster Thor, Black Panther, and more, there are a plethora of minority characters on comic book shelves. Different stories for people to dive into. You want something that mixes black culture and superhero culture? Please pick up Nighthakwk. You want dark, political fiction dealing with a “black” culture you may not understand? Pick up Black Panther. Too often, these characters suffer when it comes to sales. I’m not blaming any group or demographic, I just think that the ideals of representation need to be shifted from hate on the internet to joy over what we have. This is a hard thing to do because human nature makes it easy for us to be angry at things. It feels good to let loose and no one can punish you for what you’re saying. This happens too often. Marvel is one of the comic book companies that has pioneered this new era of POC heroes. But that immediately goes out the window when this trend of anger pops up. It’s a dangerous way of thinking and just as bad as racism. Like I said earlier, I didn’t write this to take petty shots at Geeks of Color. We live in a world where people think differently. I just happen to think that this way of thinking is harmful to our overall mission of representation. I want little kids to dress up as Miles for Halloween. I want kids to have other black idols and heroes, but don’t confuse that with wanting everything to be black and hating everything white. That’s not the mission of representation. The mission is to empower people who have been subjected to cruelty in the past. But refusing to acknowledge the greatness of a character because they’re white? Asinine and childish to me. Especially since the people who created the bulk of these characters wanted to bring nothing but positivity in people’s lives. Stan Lee, Jack Kirby, and many more had a vision where anyone can be a superhero. Literally anyone. They created Spider-Man and Iron Man yes. But also, Black Panther and the X-Men. That’s true diversity. Each of these characters represents something different to people. Miles Morales coming into the picture is magical. Brian Michael Bendis, the creator of Miles, has been one of the writers pioneering this new age. Still, too much emphasis is put on the fact he’s white. Yes, he needs to be aware of the lack of knowledge he has being a white man writing women and black characters, but the man truly cares about creating quality heroes. That’s my biggest point in this article. The Peter Parker and Miles Morales thing is just a small piece to the big picture. We can’t continue to reject the premise that white people or white-owned studios have zero interest in diversity and representation. It’s hindering our progress. Some whites do pander, I understand that fully, but I truly believe that Marvel is making strides. Does their CEO support Trump? Sure, but so did millions of other people in positions of power. Trump, diversity, representation, all of this doesn’t matter at the end of the day. Good, quality characters matter over everything. Peter Parker is one of the best comic book characters ever created. Danny Rand is a great character. Before you decide to assassinate the character of these heroes, ask yourself, “Why am I angry?” The answer usually has nothing to do with them or the creators. I don’t know if it’s because they’re white or you genuinely don’t like the character. Whatever the case may be, joining an angry trend won’t solve anything. Supporting the comic book industry and REAL attempts at diversity will. Miles’ time will come. 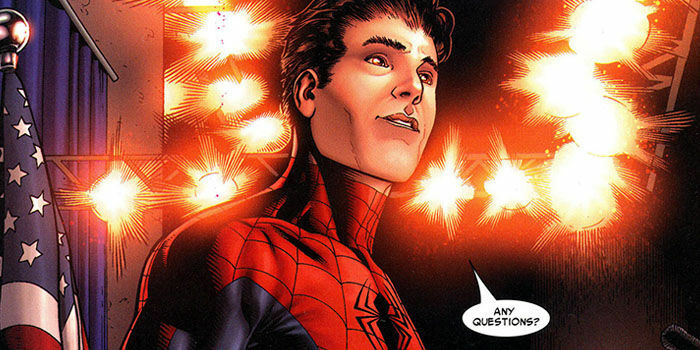 But for now, I’m happy Peter Parker is taking center stage in the MCU.